There are several tools used in Root Cause Analysis. One of the most important is the Process Flow Chart. Problems arise when the process fails to performs its designed function. The problem solving team must identify the causes of the problem, which really means determining where the process is going wrong. It will not be possible to identify the causes unless the team has a thorough understanding of the process, and the intention of the original process designers. The key tool in gaining this essential understanding is the Process Flow Chart. Each step in process in which it is believed the problem arises must be thoroughly understood, before any discussion on possible causes commences. The requirement to develop the Process Flow Chart at an early stage in the Root Cause Analysis process will assist in building team cooperation and understanding of the issues involved. With permission from Unipres UK Ltd. The Company manufactures pressed steel components for Nissan and other automotive manufacturers in a large plant in Sunderland, England. 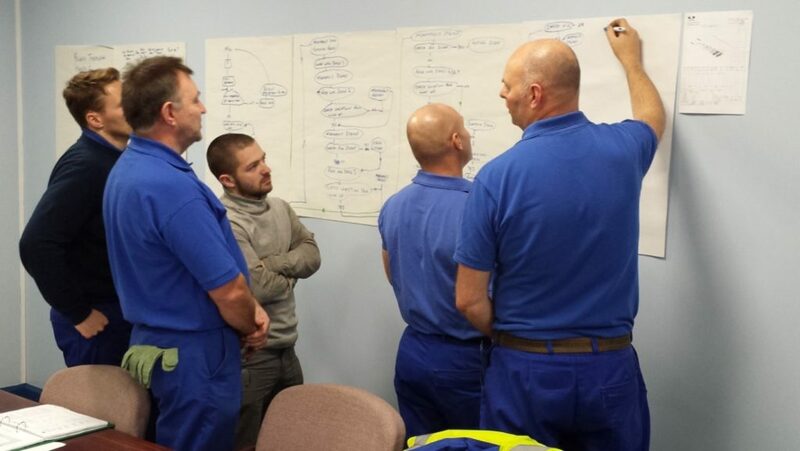 The photo shows a team of technical staff at Unipres UK Ltd constructing a detailed process flow chart during a training course on Root Cause Analysis presented by SQT tutor Albert Plant. The team are analysing a technical problem on a press that resulted in damaged components. The team successfully identified the cause of the problem during the training course exercise, and made a presentation to Management of their proposed solutions at the end of the training course. 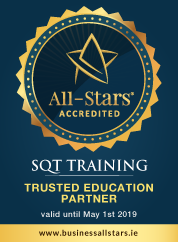 Attend the SQT training course Root Cause Analysis, presented both in-company and in public, and learn the various tools that are used in RCA, including Process Flow Charts. View our full range of Continual Process Improvement courses available on a Public & In-House basis.